Consuming the right foods is something most people struggle with on a daily basis. With all of the temptation out there when it comes to bad foods, it can be hard to eat healthy on a consistent basis. Rather than letting this temptation derail your attempts at losing weight, you need to find the right diet plan to fit your needs. There will be times when issues with your thyroid can cause the progress of your weight loss journey to slower. Luckily, with the help of a Thyroid Pharmacist and the right foods, you can get your thyroid back in good shape in no time at all. Read below to find out about some of the foods you need to add to your diet when trying to combat problems with your thyroid problems. The first thing you need to think about adding to your diet to combat a thyroid problem are cruciferous vegetables like kale and other leafy greens. These vegetables can be consumed via eating raw, cooking them or even in juice form. These types of vegetables contain a high amount of glucosinolates, which are great when trying to restore functionality to the thyroid gland. If you are tired of feeling out of energy and are having an increased amount of difficulty losing weight, then increasing your intake of these types of vegetables is a great idea. The ketogenic diet is based around the consumption of more cruciferous vegetables and less carbs. Find out more about this diet and its benefits by visiting the Keto Resource website. One of the best nutrients to use in the fight against thyroid issues is selenium. Consuming more brazil nuts is a great way to increase the level of selenium in your body in a relatively short amount of time. The higher the level of selenium in your body, the easier it will be to convert thyroxine into its most active form, which is T3. If you are looking for ways to decrease the production of thyroid antibodies, selenium is the key. This nutrient helps to boost glutathione production, which is what wards of these dangerous antibodies. For a detailed breakdown of what selenium can do for your thyroid problems, be sure to consult with a medical professional. They will be able to put you on the right track when it comes to attacking the glandular issues you are experiencing. The pectin that is found in apples can be used to combat the formation of heavy metals in the body. When metals like mercury are present in the body, it can lead to a lot of thyroid issues. By consuming apples on a regular basis, you can help to rid your body of these metals and restore the functionality that your thyroid has lost. Also, the pectin in the apples has been shown to limit the amount of fat cells your body stores at any given time. In order to reap the benefits of these fruits, you will need to consume about 4 pieces a day. Any type of animal protein, like chicken, it filled with amino acids like tyrosine. Many scientists refer to this amino acid as the building block for the thyroid hormone. 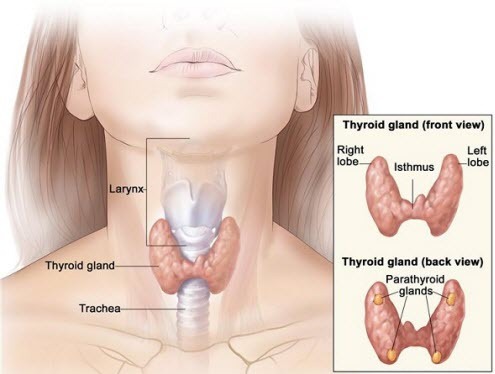 Not getting enough tyrosine can lead to your thyroid becoming underactive. By consuming more chicken, dairy and leafy greens, you will be able to provide your body with the vital amino acids it needs to stay healthy. Not only is poultry great for thyroid issues, it also contains a lot of vitamin B12, which can help with your energy levels as well. 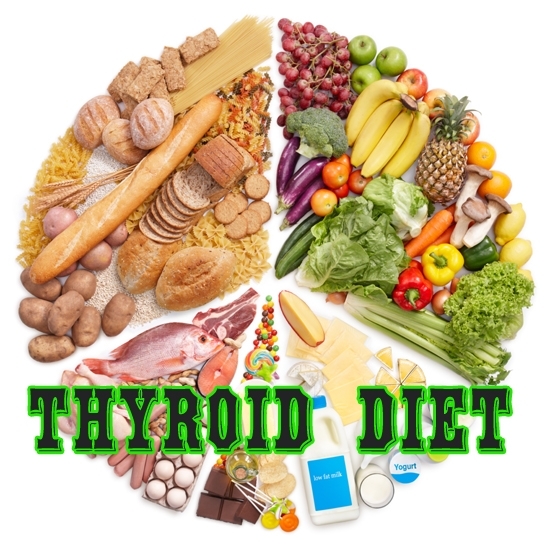 Consulting with a knowledgeable dietician is a great way to get some advice regarding what type of foods are best suited for your thyroid problems.